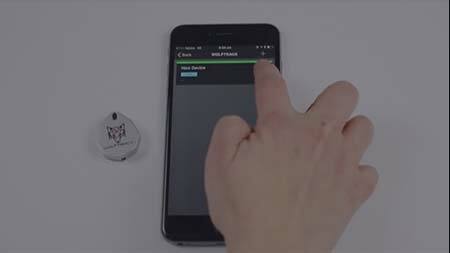 If you’ve ever been in a situation where you needed to have your keys in a hurry but you couldn’t find them, you’ll appreciate how useful it could be to have a wireless key finder. Imagine simply being able to ask your phone where your keys are! With the BlaqWolf wireless key finder, you can do just that. You’ll never have to worry about losing your keys again. And even though it’s the perfect size and shape to add to your key chain, there are plenty of other things you can do with it as well. You can use it as an anti-theft device, for example, by attaching it to your most treasured possessions. 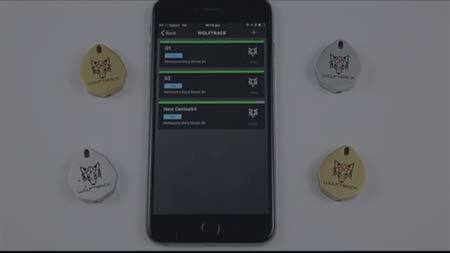 Be instantly alerted to children or pets wandering off by giving them their own personal BlaqWolf tag. 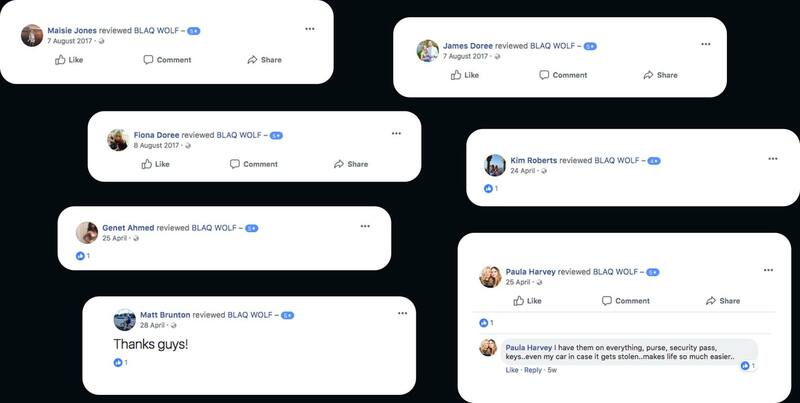 There are all kinds of ways BlaqWolf can help make your life more convenient, safe, and free of worry. As complex as the technology is, our design philosophy was simple. We firstly created a practical device which is genuinely life enhancing and provides measurable value. We also designed it to be tough and waterproof, so you could take it just about anywhere. Then we decided to make it stylish and elegant, so it would be a product you could be truly proud to own. With the BlaqWolf wireless key finder we have achieved all of these aims. It is the best product in its class, out-performing all competitors and providing more features. It is waterproof to IPX4 standard, and it is very very tough. So tough you’d have to put in some real effort to damage it. On top of all this, it also provides the sense of being a true luxury product with its choice of gold or silver finish and awesome BlaqWolf logo. You’d think that would be enough and we’d stop right there, but we went a step further and refined our manufacturing process so we could make them affordable for everyone. Then we decided to create the Ultimate Wolfpack Bundle to give you even more value. 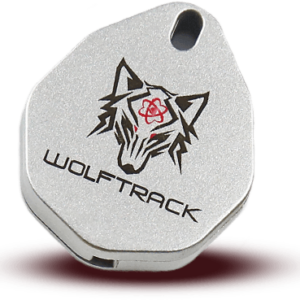 Now you already know the BlaqWolf tracking tag does a great job of helping you avoid losing things, keeping your possessions safe from theft, and helping to keep children and pets safe, but it still has more things it can do. 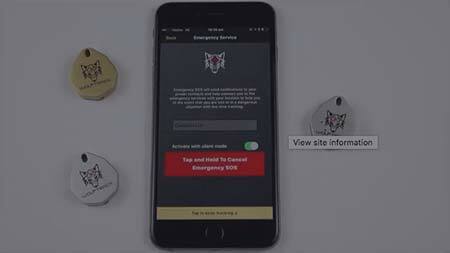 In an emergency, BlaqWolf could even save your life. BlaqWolf is good at finding things that have been lost, but it can also help you get found if you get lost. If you are faced with a genuinely life-threatening emergency, you can activate an SOS distress signal that will instantly alert local emergency services of your location and that you are in need of rescue. If you were to be directly confronted by an attacker or chased by a wild animal, you wouldn’t have time to wait for emergency services to come to the rescue. 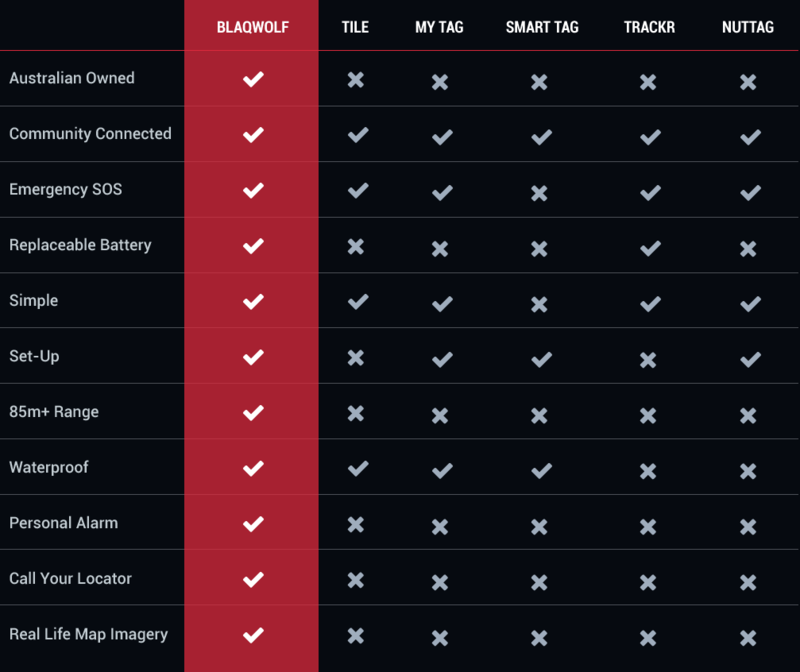 That’s why BlaqWolf trackers come with a built in personal safety alarm. Activate this alarm and a piercingly loud siren is emitted, instantly drawing attention, and scaring off 99 percent of attackers. The last thing most bad guys want to be is the centre of attention, so loud sounds can really make them think twice. You don’t have to wait to enjoy the awesomeness of BlaqWolf. You can buy our trackers right now from our website with our secure online ordering system. We ship worldwide and offer instant dispatch so you can get your product as soon as possible. Enjoy great savings and fabulous bonus products by selecting our Ultimate Wolfpack Bundle. Buy now while the price is still so incredibly cheap, and live life without the worry of losing the things most important to you. Our locators are powered by the strongest bluetooth range in the industry – up to 110m. This means that you can be confident you’ll get the best possible reach and the best results when tracking your keys. Many locators in the industry don’t allow for you to change their batteries. This means that you could be left without a GPS locator at a moment’s notice and lose track of your keys. This is why all of our locators can have their batteries changed. There are times when Australia can be dangerous either from the perspective of individuals or the environment. If you feel that you have entered into a situation that requires assistance you have an SOS function in your BlaqWolf app. If you want to be alerted when one of your locators goes beyond a certain distance from your home you have the option to establish a boundary around it. This will send you an SMS notification when that happens. When you lose your keys time is of the essence. You want to get to them as quickly as possible before anybody else does. Our hyper-accurate GPS tool can help you to figure out exactly where they are. Are you worried that your keys and the locator attached to them may go beyond their range? 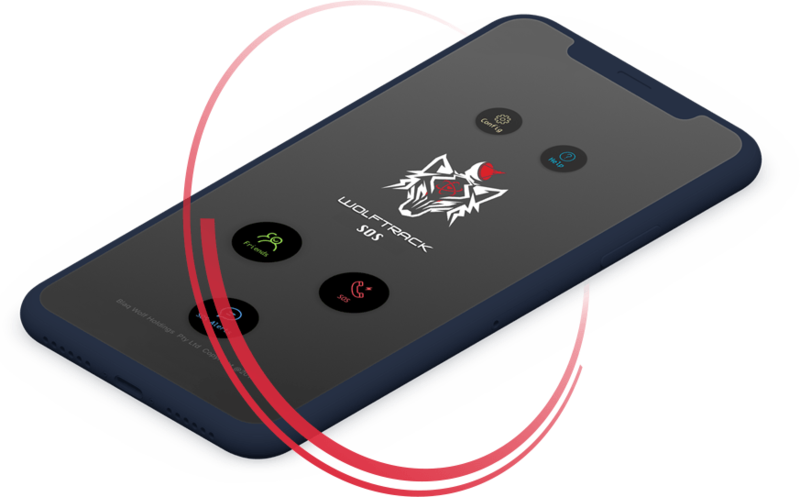 We have provisioned for that and in this instance you will be notified when any person using the BlaqWolf app goes within 110m of your locator. Your keys could be lost in a range of locations. 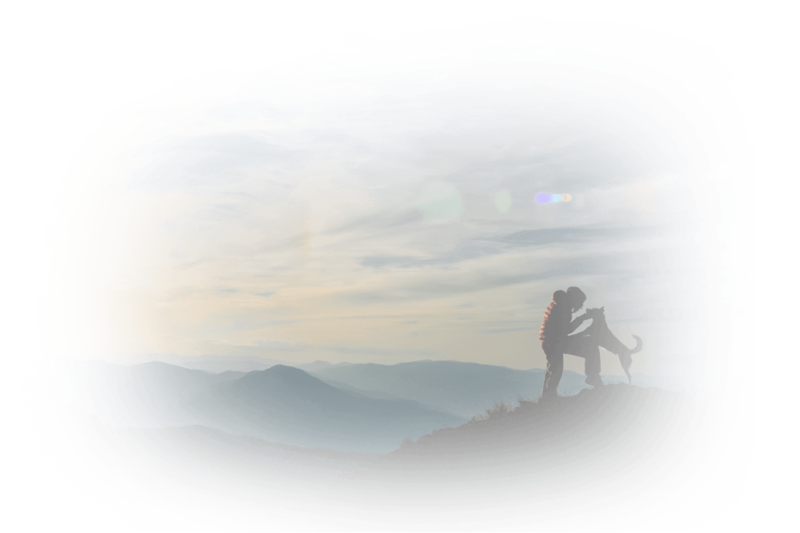 If they are outside you need to use a locator that can withstand tough conditions. Our locators are incredibly durable and they are also water resistant so you can be confident they will survive. Locators should give you a peace of mind rather than something else to worry about. The batteries on our locators only need to be changed once a year so you can rest assured they’re watching out for you for long periods of time. 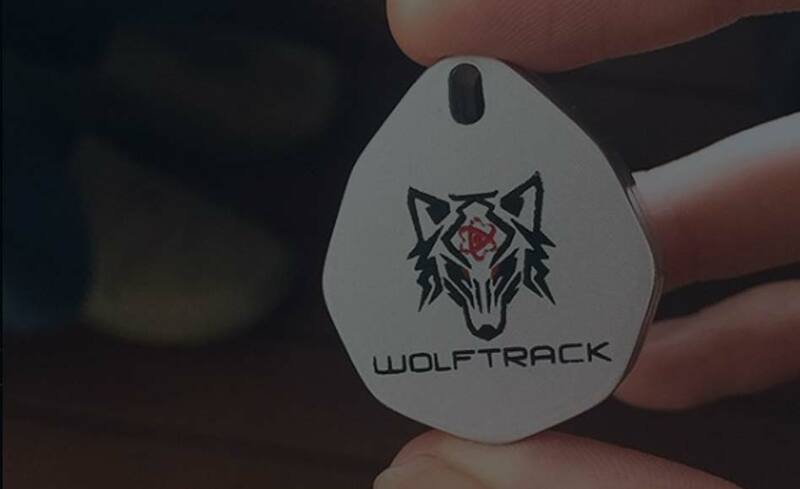 The Wolftrack app and locator comes equipped with an emergency alarm system that can scare would-be attackers so that yourself and your belongings are protected. 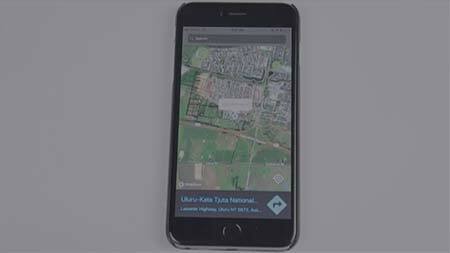 If your locator is lost but in close proximity you can call it using the application. Likewise if your phone is lost but close by you can double tap the locator and a sound will come from your phone. It is our mission to offer the very best in terms of our products and the level of customer satisfaction that we offer. Our replacement guarantee means that if there’s anything wrong with your product you don’t have to worry – we can replace it very quickly for you. Whether you’re running, hiking, fishing or enjoying a family roadtrip, it can be fun to go off the beaten track. But it’s important to find your way back. 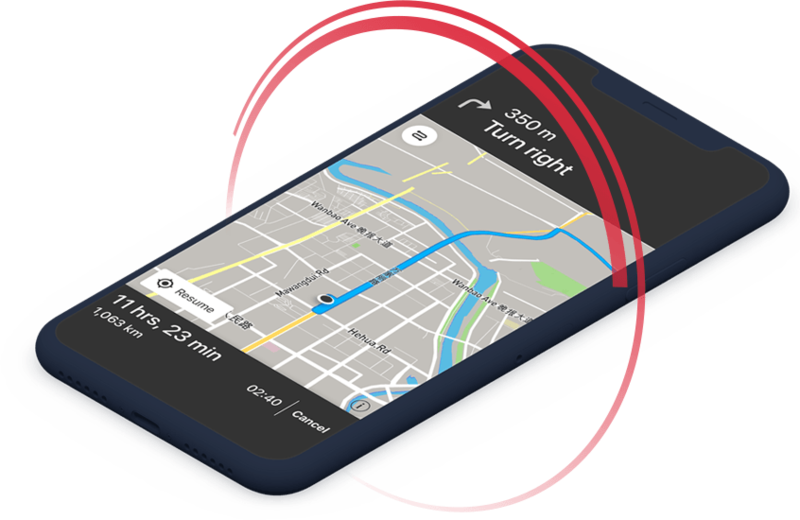 The days of getting lost are over with Wolftrack, a convenient and accurate GPS app that can be downloaded in seconds. Keep this app on your phone and always feel safe in the knowledge you know exactly where you are. Criminals and thieves are mostly opportunistic and will take anything of value. This includes your keys and this can lead to a range of problems further down the road. You may have to chance the locks on your home and take other measures to protect it. You can give yourself a good chance to avoid this by using a BlaqWolf wireless key finder. 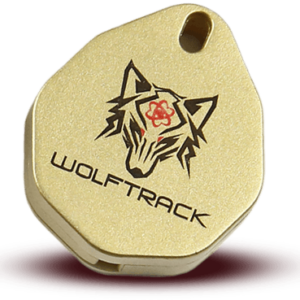 These are easily trackable using the BlaqWolf app suite. Your keys are valuable and will be with you most of the day. 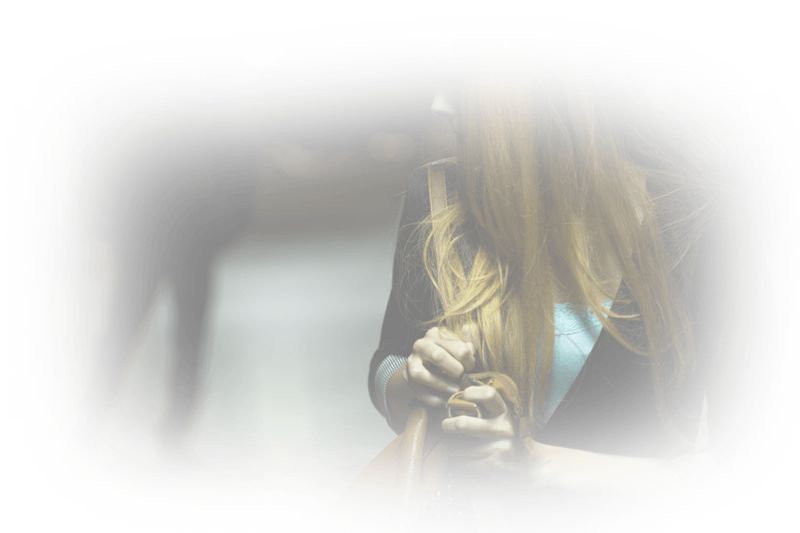 They could be lost, misplaced or stolen at any point so it’s important that you take every step possible to keep them safe and within your grasp. These are the best wireless key finders on the market and will help you to accomplish this. If your keys are lost or stolen this opens up your home to the possibility of theft and you will have to take the necessary measures to avoid that. Our wireless key trackers can give you the best chance to avoid this scenario by giving you the power to track those keys using the suite of BlaqWolf apps. 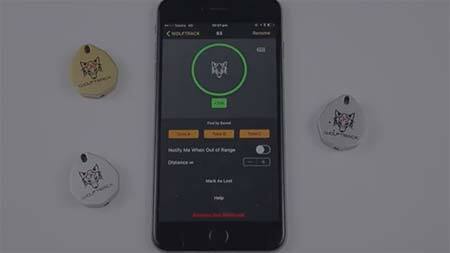 These apps get a lock on the location of your keys in mere seconds. Keys are one of the main objects that are lost on a daily basis. This can be stressful, make you later and take up valuable time that should be spent doing other things. Our trackers mean that you can login to our apps to see the exact location of every single one of your wireless key trackers. In fact they offer you a small radius to search within so you’ll be sure to find them in mere seconds.